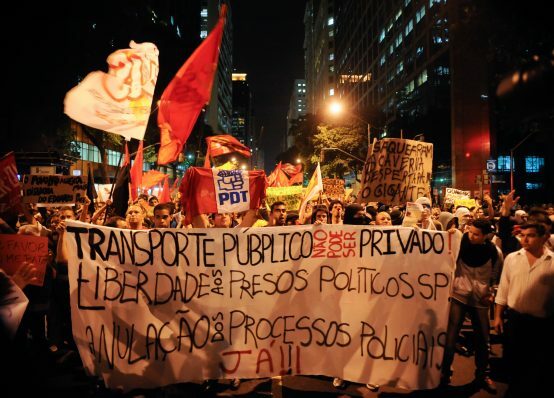 Since 2015 the Brazilian government has implemented unnecessary and excessive austerity measures with major human rights implications, especially for women’s rights, despite the availability of less harmful alternatives. Among these austerity measures, the unprecedented constitutional amendment – CA 95, which came into effect in December 2016 – capped social expenditures and investments at 2016 levels, adjusted to inflation, for the next 20 years. It has been endorsed by the IMF and World Bank, while Brazilian civil society seeks its revocation. The IMF’s support for the amendment was made public in its November 2016 technical assistance report, Supporting Implementation of the Expenditure Rule. It reinforced this view during the visit of IMF officials to Brazil one month before the vote on the amendment took place, in the midst of nation-wide protests against its approval. From 2015 to 2017, social investments were reduced by an estimated $42 billion, or 6 per cent of Brazil’s total expenditures. With the passage of CA 95, these expenditure levels are expected to remain constant for the next 20 years. As demonstrated by El Instituto de Estudios Socio-económicos (INESC) research, expenditures specifically benefitting women were reduced by 58 per cent after CA 95 came into place, while the number of specialised services offered to women suffering from violence was also reduced by 15 per cent between 2014 and 2016, and are now frozen at this level. With Brazil carrying the fifth highest female homicide rate in the world and facing a significant increase of violence against women, CA 95 not only violates the human rights principles of non-retrogression and non-discrimination, it endangers the lives of Brazilian women. Simultaneously, the Brazilian government has been dismantling state institutions that promote gender equality. The Secretariat for Women’s Policies had its status diminished in 2015, no new shelters for women have been built in 2017, and no public campaigns to prevent violence against women have been executed since 2014 due to budget cuts. 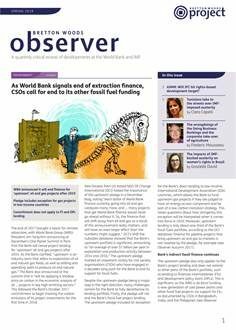 When presented with this evidence during a panel session on the gendered impacts of IMF policies during the 2017 IMF and World Bank Annual Meetings in October, an IMF official disagreed with the use of the terminology ‘unnecessary austerity measures’, and argued that disorderly fiscal adjustment would also have undesired gendered impacts. On the same panel, the official said that the expenditure cap would exempt much of Brazil’s health and education spending (see BWP briefing, The IMF, Gender Equality and Austerity). She argued that the constitutionally guaranteed federal transfers to states and municipalities are not included in the cap and that this money would finance these two essential public services. In reality, according to article 110 of CA 95, the federal transfers to the states and municipalities earmarked for health and education fall under the expenditure cap. Therefore, the cap shifts the burden of these social costs further to states and municipalities. Constitutionally guaranteed un-earmarked federal transfers are a very important source of income for states and municipalities, as these transfers can be used to finance anything. Given that many municipalities and states are already facing fiscal crises, it is unrealistic to expect that they would direct this revenue to education and health. Given multiple pressing priorities, it is expected the cap will result in a significant reduction of support to women, despite the IMF’s claims to the contrary. One telling example comes from the Federal District that in 2017 used only 2.7 per cent of the constitutional transfers to finance health costs; 74 per cent was financed by its own revenue and the remaining 23 per cent by a covenant between the state health secretariat and the federal health ministry, which does fall under the expenditure cap. The IMF did affirm that the fiscal deficit in Brazil was not a result of excessive social expenditures, but rather a crisis of the private sector. On this, we agree. However, what is the logic of identifying a private sector crisis and then recommending an austerity measure of freezing public social expenditures for 20 years? It is difficult to understand how we can agree so much on the diagnosis, and yet disagree so much on the remedy. This flawed macroeconomic policy decision disproportionately impacts the most vulnerable and women in particular, and ignores the fact that there are alternative fiscal policies with beneficial gendered impacts. For example, in Brazil research demonstrates that women tend to pay more taxes relative to their income than men, given the very regressive tax system that overburdens the poorest. This is particularly the case for black women, who make up the poorest demographic group in Brazil. If instead of cuts to the social budget, the government had carried out progressive tax reforms, like shifting tax burdens from consumption to income and wealth taxes, the result could have been significantly fairer. Such a solution could have reduced the high levels of inequality in Brazil, since, as the IMF itself claims, fiscal policy can make the difference in tackling inequality. This could have eased the need for fiscal consolidation and would have relieved the disproportionate burden on women in particular.